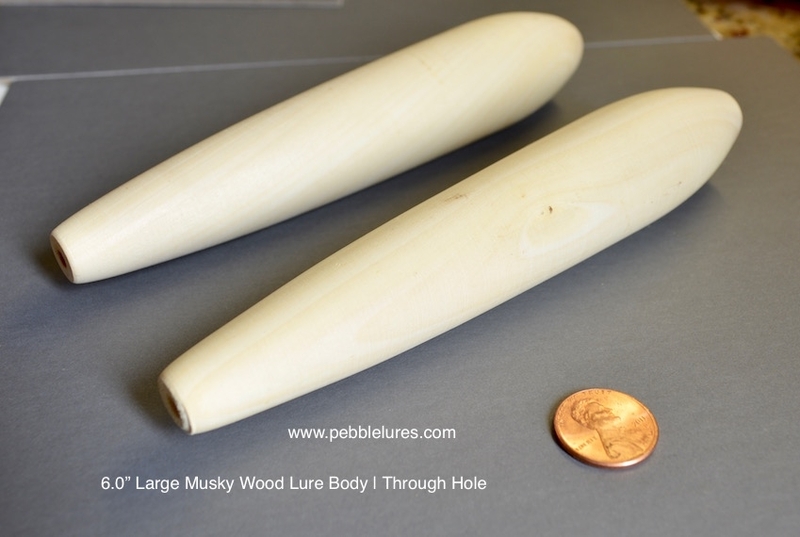 Large 6.0" custom made unpainted wooden Musky lure bodies | "Pebble lures"
Total length is 6.0" inches (approx) nose to tail. Top side to bottom belly is one (1.1") inch approx. 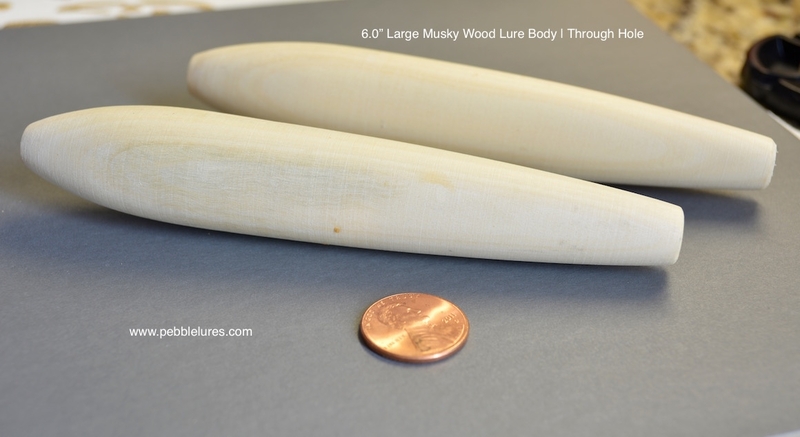 Total length is 6.0" inches (approx) nose to tail. 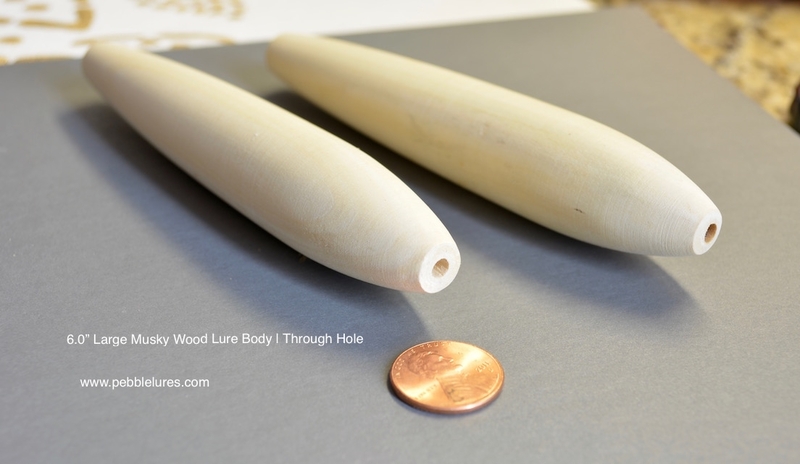 Top side to bottom belly is one (1.2") inch approx. Light Weight: 2.0 oz approx.